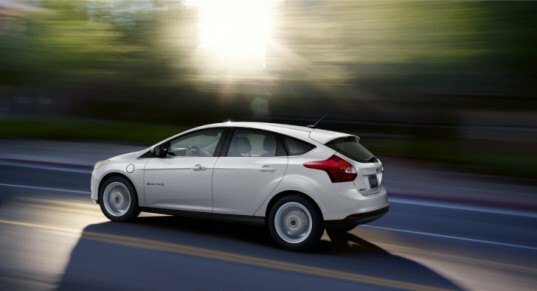 The 2012 Ford Focus Electric is now officially America’s most fuel-efficient five-passenger car, with a rating of 110 miles per gallon equivalent (MPGe) city and 99 MPGe highway. The Focus Electric also has a 105 MPGe combined rating, which beats its closest competitor, the Nissan Leaf, by 6 MPGe. The Focus Electric also offers more power, passenger room and standard features than the Leaf and beats the Leaf on the highway with its 99 MPGe rating compared to the Leaf’s 92 MPGe. According to the EPA the Focus Electric has a range of 76 miles on a single charge, but it can be driven up to 100 miles depending on driving habits. The Focus Electric features an advanced charging system that allows the car’s battery to fully recharge in four hours, almost half the time of the Nissan Leaf, with available 240-volt outlets that can be installed in residential garages. The 2012 Focus Electric starts at $39,200 before the $7,500 federal tax credit. The 2012 Ford Focus Electric is now officially America's most fuel-efficient five-passenger car, with a rating of 110 miles per gallon equivalent (MPGe) city and 99 MPGe highway. 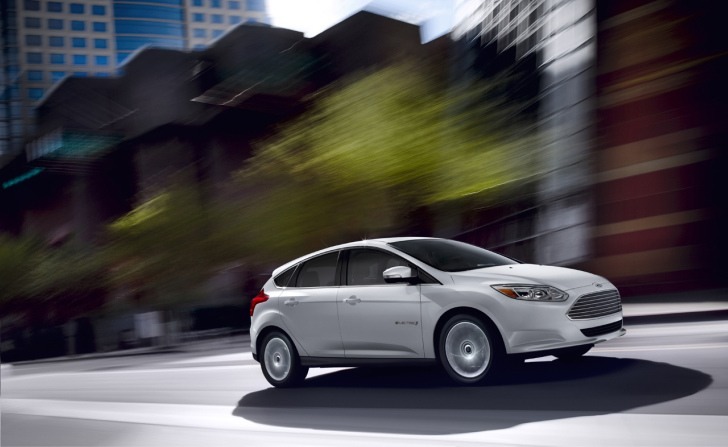 The Focus Electric also has a 105 MPGe combined rating, which beats its closest competitor, the Nissan Leaf, by 6 MPGe. The Focus Electric also offers more power, passenger room and standard features than the Leaf and beats the Leaf on the highway with its 99 MPGe rating compared to the Leaf's 92 MPGe.